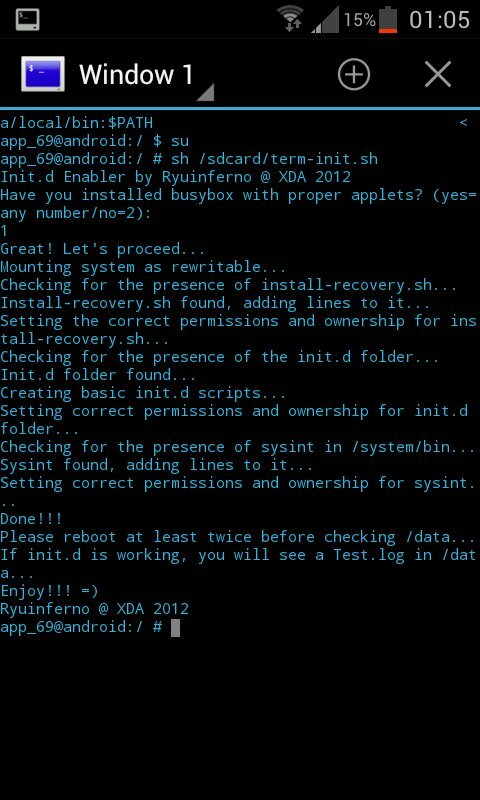 XDA Senior Member Ryuinferno has developed a script that allows the use of Init.d scripts on any rooted phone, without relying on a custom kernel. Term-init is simply a script that you run in terminal emulator, which will automate the install process, as well as adding a few extra features thrown in by the developer. After this is done, Init.d support will be yours! Ryuinferno has also created an alternate method of implementation by use of a flashable zip, known as Zip-init, which gets installed in recovery in the usual way. The only things required to use Term-init or Zip-init are your rooted phone, Busybox, and a terminal emulator app. If you want Init.d support on your device, head on over to the development thread.